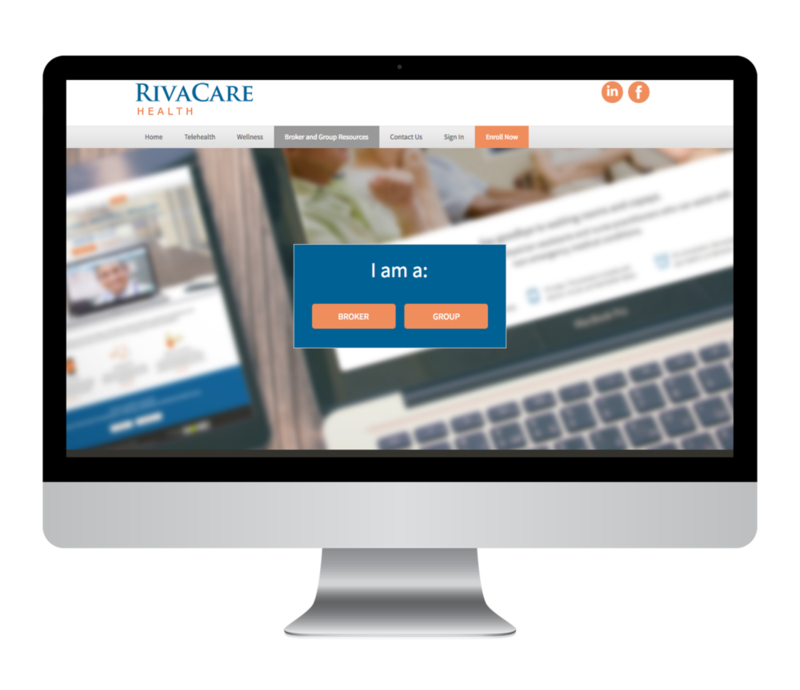 Develop a site that will ultimately replace their existing website. 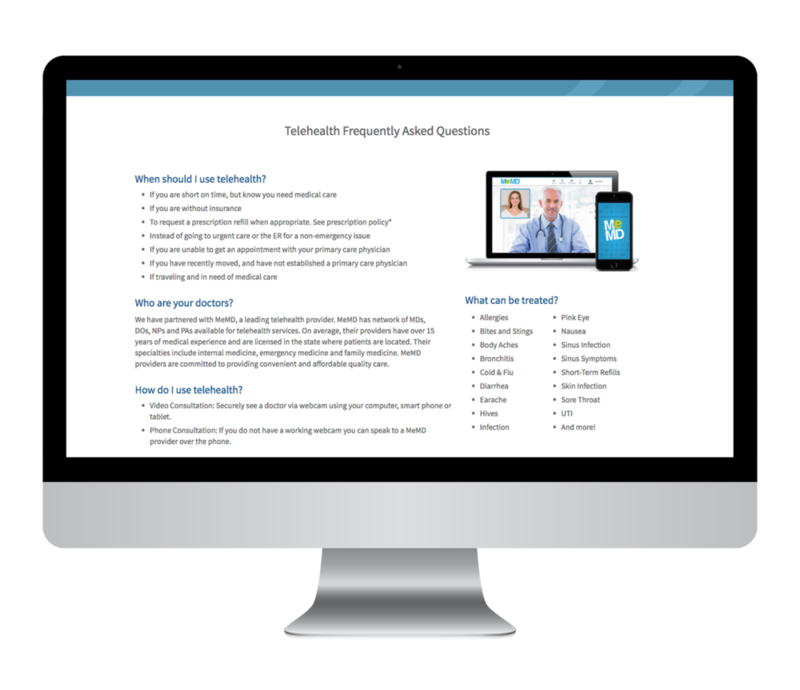 Create a template that can be easily duplicated for employer-sponsored groups and is designed in a way that’s easy for users to understand the product, why they should purchase, and how it works. 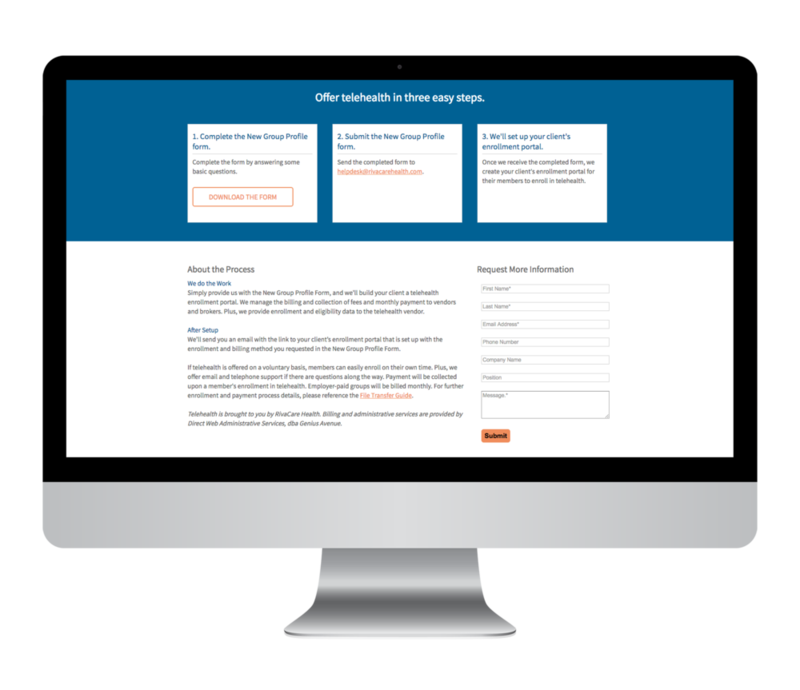 Provide explanation to brokers and employer groups on how they can offer a website to employers/employees—with the objective of them submitting a request for a group portal. Improve overall site architecture and navigation to enable easier browsing. Created a flowchart of the front-end (not including the enrollment engine), showing how the broker/employer group information would contain a link to a demo website for the audience to see what their employer-sponsored group enrollment portal would look like—which also highlighted what areas could be customized for the group. Organized all content to address why the product is needed, how it works, and quick access to pricing information. 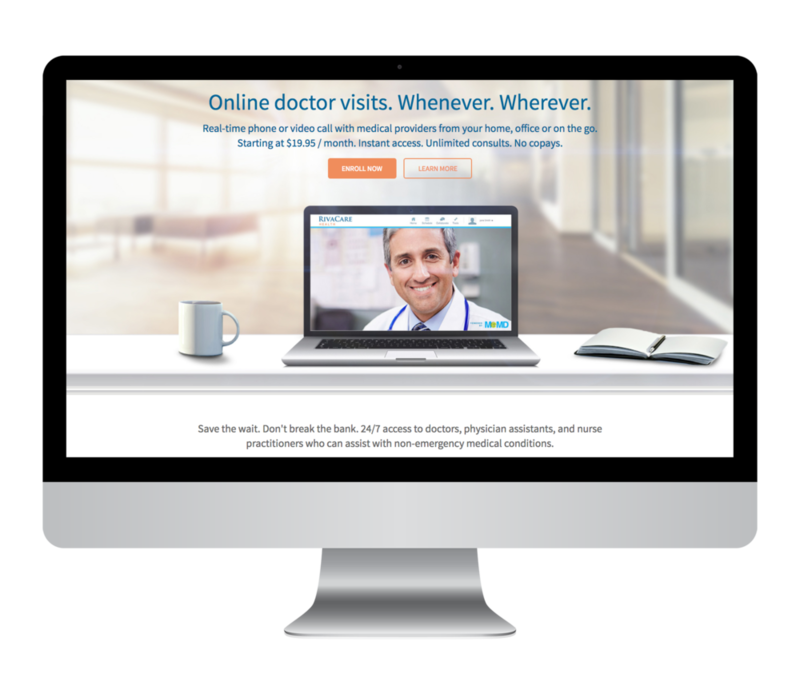 Provided two initial mockups: home page and the telehealth overview page. Color palette was provided by the client. Chose a simple, more modern font—Open Sans versus Arial. 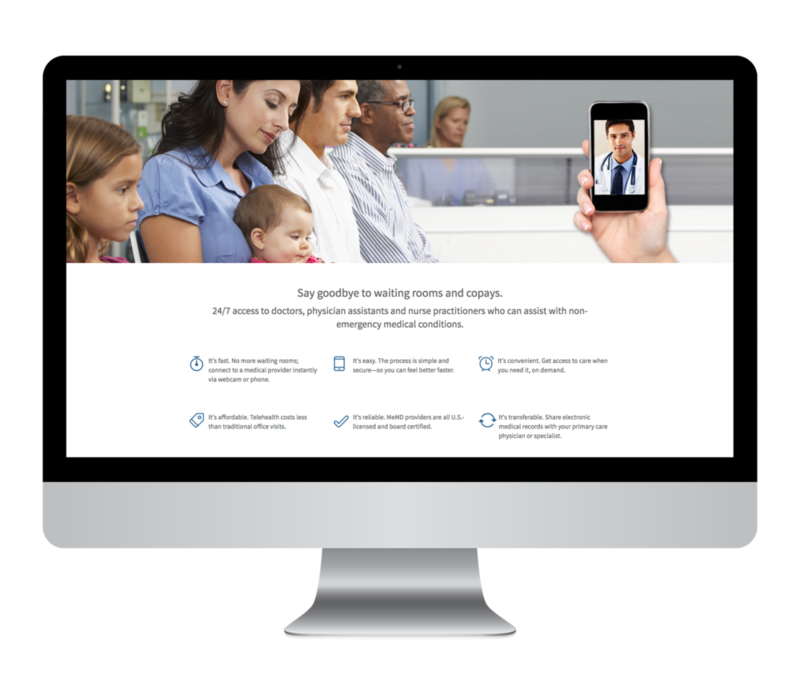 Chose stock photos that clearly demonstrated what the experience would be like for the user – talking to a doctor via chat or call. Final website contained the creation of two sites—one with and one without the broker/employer group messaging. The one without could be easily duplicated and customized for the client where applicable (logo, company description and pricing).